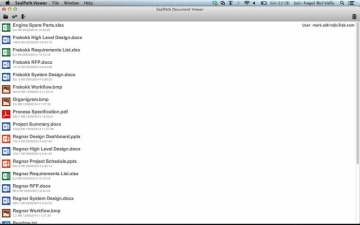 [無料] SealPathDocumentViewer | Mac App Storeのアプリ検索・ランキング BuzzMac! 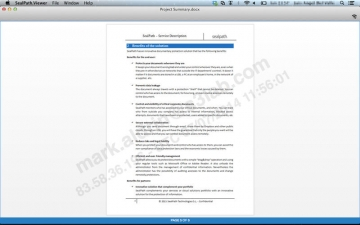 SealPath Document Viewer allows you to visualize on your iPhone, iPad and Mac the documents protected with SealPath. IMPORTANT NOTE: To use this app you need a SealPath account. 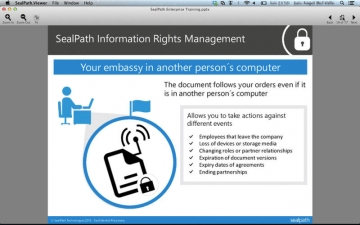 SealPath protects your critical and confidential documents and keeps them under your control wherever they are. Limit what can be done with your corporate documents and comply with all major data protection regulations. * Information protection: Your corporate documents encrypted and secure wherever they are. 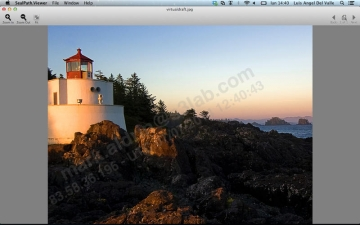 * Access control: Remotely control who can access and their permissions (view, edit, print, copy, add dynamic watermarks, etc.). Destroy documents remotely even when they are not in your hands. * Audit and tracking: Real-time monitoring of the activity of your documents, who access to your documents from inside and outside the company, blocked access, etc. With SealPath, you can continue to retain ownership of the documents which are important for your business: remotely revoke access, monitor whether someone is trying to access them without permission, set expiration dates, etc. SealPath uses AD RMS (Active Directory Rights Management Services) protection and information technology, from Microsoft. 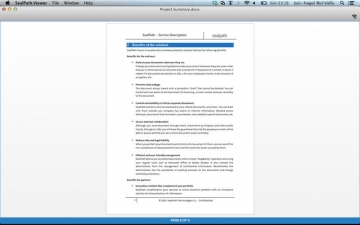 SealPath Document Viewer registers itself to the file types supported by the SealPath protection (Office, Pdf, Txt , Rtf , Xps and images) and additionally allows to visualize Office and Pdf documents without protection. The documents displayed in SealPath Document Viewer are temporarily stored on the device, with strong encryption, in order to be displayed later, when there's no connection to the Protection Servers (offline mode). * SealPath Professional SAAS License or SealPath Enterprise SAAS License (trials are also available). * SealPath Enterprise On-Premise and Mobile Protection Server deployed in the corporate network of the company.